Would you like to give your gummy smile an instant makeover? Dr. Arnold performs cosmetic gum lifts using advanced laser technology. This procedure is ideal for reshaping irregular gums and lengthening the appearance of the teeth. Dr. Arnold performs this procedure here in our office and, because the results are immediate, you will leave ready to show off your new smile for the world. Laser gum lifts, unlike traditional gum surgery, do not require cutting or stitches. This helps reduce bleeding, swelling, and discomfort. Most patients heal quickly after this short procedure, so you should be able to resume your normal activities the same day. Gum lifts may be ideal for patients whose gums extend too far down the crown of the teeth, shortening the appearance of the teeth and resulting in that recognizable, gummy smile. This procedure can also work to reshape an uneven gum line, creating symmetry and aesthetic balance. Dr. Arnold uses the Lite Touch All Dental laser to perform the majority of our gum lifts and gingival re-contouring procedures. The Lite Touch system utilizes cutting-edge erbium YAG laser technology, the gold standard for tissue contouring and resurfacing. 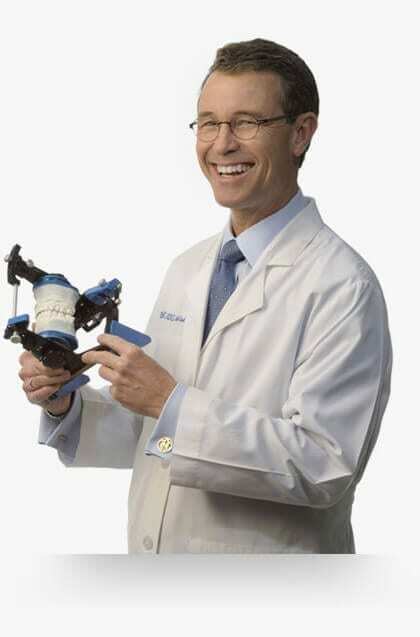 During the procedure, Dr. Arnold literally sculpts your new gumline, using a handheld laser with a custom-shaped tip. The laser quickly and painlessly removes the excess tissue, safely exposing more of the tooth crown surface. The laser also kills bacteria and seals the gum tissues as it works, so you’ll experience little or no bleeding during the procedure. This reduces the time required to heal and minimizes the risk of complications. Are You a Candidate for a Gum Lift or Recontouring? Are you self-conscious or even embarrassed by your gummy smile? If you try regularly to minimize your smile or cover your mouth with your hand, this procedure—alone or in combination with other procedures—may be the solution for you. As with any dental procedure, a gum lift is not right for every patient. If your gum tissue has simply overgrown and extended to cover a portion of the crowns of your teeth, this may be a good option for you. For some patients, however, raising the gumline may expose too much of the tissue and bony support structure of the teeth. We won’t know for sure if you’re a good candidate until you come in for a consultation, and Dr. Arnold has a chance to examine your teeth and gingival tissues. Otherwise, if you are healthy enough to undergo routine dental procedures, you should be able to have a gum lift, particularly if you maintain sound oral health. We can also perform a gum lift in conjunction with other cosmetic dentistry procedures – including dental crowns, porcelain veneers, and implants – as a part of your comprehensive smile makeover. 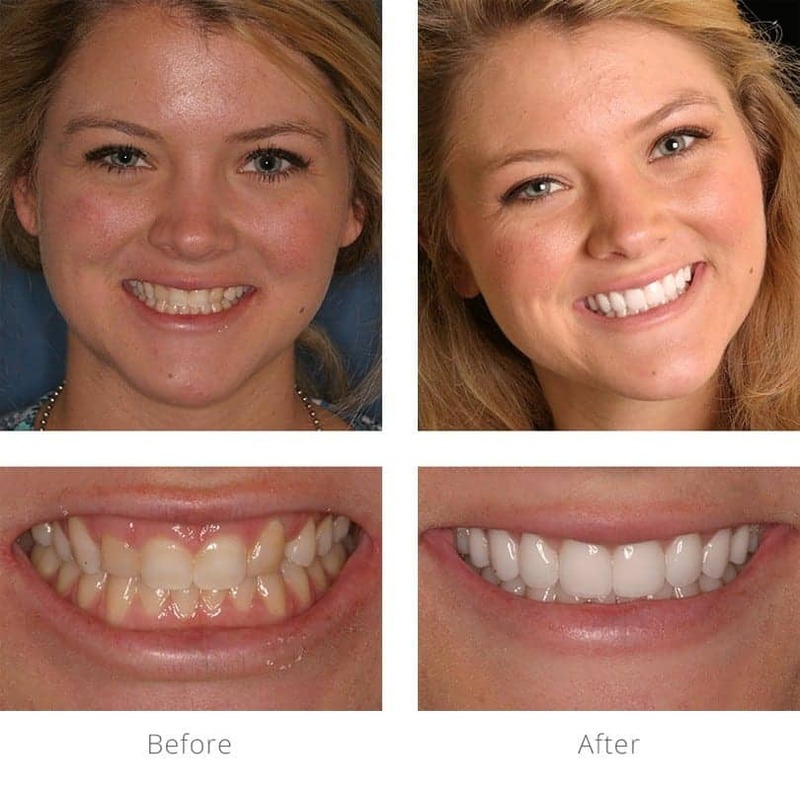 You can browse our smile gallery to see the results of some of our past patients. When you’re ready to explore a gum lift or recontouring as a solution to a gummy smile, contact our office to schedule a consultation with Dr. Arnold. You can call our office or request an appointment using our simple and secure web interface. This is our patient, Melissa, who had a gum lift and teeth whitening, followed by a smile makeover with porcelain veneers. As you can see in the “before” closeup of her smile, Melissa’s gum tissue was uneven and extended almost halfway down the crown of one of her teeth. Dr. Arnold lifted the gum tissue and created a more even, balanced gumline. *All patient photos are cases performed by Dr. Arnold.